It’s anything but peanuts. Charlie Brown’s All-Stars, the second primetime animated TV special based upon the popular Peanuts, originally aired on CBS on June 8, 1966. 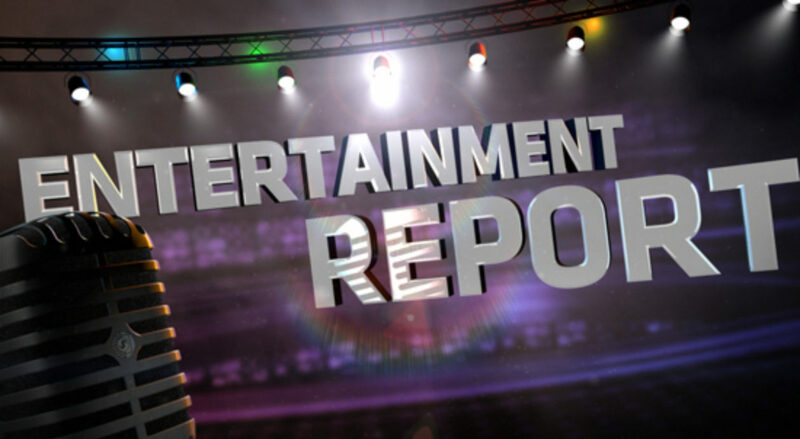 The show, which earned two Primetime Emmy nominations, celebrates its golden anniversary this year. (It lost the Emmy for Outstanding Children’s Program to Hanna-Barbera’s Jack and the Beanstalk, starring Gene Kelly.) Warner Bros. Home Entertainment honors the occasion by releasing this delightful story in a deluxe 50th anniversary edition, completely remastered in beautiful high definition. You have to wait until the release date of October 4, but remember one thing: Charlie Brown never gave up. And neither should you. 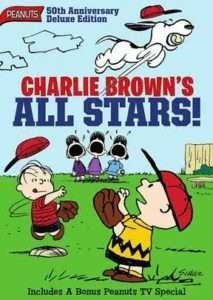 Charlie Brown’s All Stars follows the bittersweet story of Charlie Brown, who won’t give up on trying to bring his baseball team to victory, in spite of facing great criticism from the team’s players. The DVD release is timed to the culmination of the World Series. 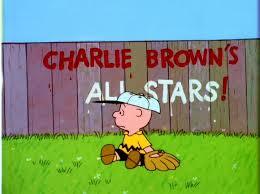 In Charlie Brown’s All Stars, it’s summer and baseball season gets underway. Charlie Brown is put in charge of managing the Peanuts’ baseball team again, which in the past, has only suffered crushing defeat from its opponents. 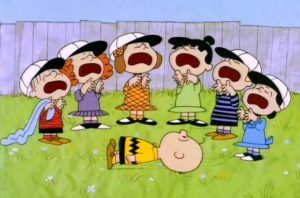 The disillusioned players blame Charlie Brown for the team’s past poor performance. When a sponsor offers Charlie Brown real baseball uniforms and a chance to be part of an actual league, he is thrilled. He believes the new uniforms and acceptance into a real league will motivate his players. His excitement however, soon turns into disappointment when he learns that if he accepts the offer, Snoopy, Lucy, Patty, Violet and Frieda will be kicked off the team because the league’s policy prevents girls and dogs from playing. Poor Charlie Brown, not only is he criticized by his teammates for being a bad manager, he’s now faced with a difficult moral dilemma. Should he accept the uniforms? This one still scores big.